MOSCOW, September 20. /TASS/. 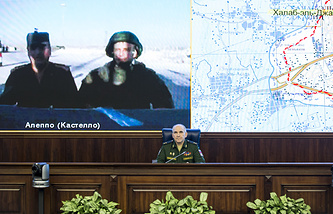 The intense shelling in the southwest outskirt of Aleppo has interrupted an online video broadcast at the Russian Defense Ministry website, the Russian Defense Ministry reported on Monday. "Today, militants shelled a building in the territory of the Al-Assad Military Academy were a web camera, which is monitoring the implementation of the ceasefire regime in southwestern Aleppo, was installed," the Russian Defense Ministry said. None of Russian servicemen who ensured the web-camera’s operation were hurt but the video camera and the transmission equipment were knocked out of service. The Russian reconciliation center said that Syrian army units have repelled an attack of Jabhat al-Nusra terrorist group militants on the southwestern outskirts of Aleppo. "During further counterattack, Syrian troops, supported by Russia’s Aerospace Forces, routed a Jabhat al-Nusra terrorist advance detachment, destroying 4 tanks, 3 infantry combat vehicles, 9 pickups with heavy machineguns and up to 100 militants," the statement said. Up to 40 militants, four infantry combat vehicles and seven pickups with large-caliber machine guns were destroyed near Syria’s al-Shkeif neighborhood. "As a result of stubborn battles early on September 20 the Syrian government forces backed by Russia’s Aerospace Forces repelled an attack of terrorists near the al-Shkeif neighborhood in the northern outskirt and regained control over the southern outskirt of the al-Shkeif neighborhood," the statement said. The Russian reconciliation center reported 53 violations of ceasefire. Most of them were reported from the province of Aleppo (26). Eight ceasefire violations were reported from Damascus, five - from Hama, two - from Daraa, five - from Latakia, and seven - from Homs. 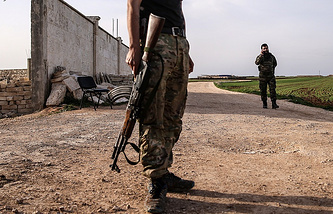 Militants from the Jebhat al-Nusra Front have launched a full-scale offensive from the direction of Khan Tuman against Syrian army positions near the al-Assad Military Academy and the 1070 neighborhood in the southwestern outskirt of Aleppo, the statement said. "The offensive had been preceded by intense and massive artillery shelling from tanks, multiple rocket launchers and mortar launchers that lasted from 19:30 to 20:00. The positions of government troops and residential areas in southwestern Aleppo also came under fire," the reconciliation center said. The center said it was clarifying information on victims and casualties among the Syrian servicemen and civilians. "In the province of Aleppo, illegal armed groups conducted fire from mortars, home-made multiple missile launcher systems and firearms at the settlement of Sheikh ali-Kobtani and the Qaryat Halab castle, and at Aleppo’s districts of Ramusi, al-Zahra, a cement plant, the Castello trade center and the Castello road," the bulletin says. In the province of Damascus, terrorists shelled the settlements of Harasta, Kabun and Hawsh Harabu, and Damascus’ districts of al-Hamadani , al-Abasin and positions of government troops in the al-Hamadani. Terrorists conducted fire from self-made multiple missile launcher systems and mortars at the settlement of Maan in the province of Hama, at the settlement of Etbaa in the province of Daraa, and positions of the Syrian army near the Al-Mahruk mountain in the province of Hama and the settlement of Osman in the province of Daraa, as follows from the bulletin. 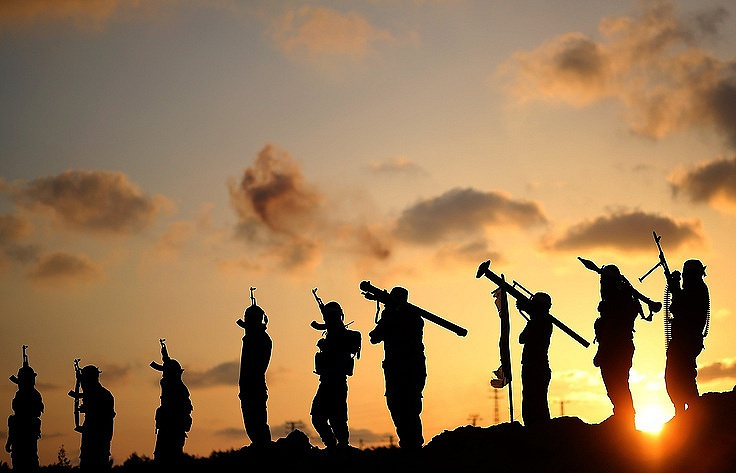 The settlements of Qerad Dasniya, Homs, Kafer al-Abed, Mesherfa and Ard al-Jaburin in the province of Homs, and the settlements of Rashah, Kinsibba, Nakhshebba and the Tubal castle in the province of Latakia came under mortar shelling. "No air strikes were delivered by the Russian air group and the Syrian air force at armed opposition group which have declared cessation of hostilities and informed the Russian or U.S. reconciliation centers about their locations," the Russian center said.